This crop top is sure to elevate your look and it is perfect for a night out with your besties. 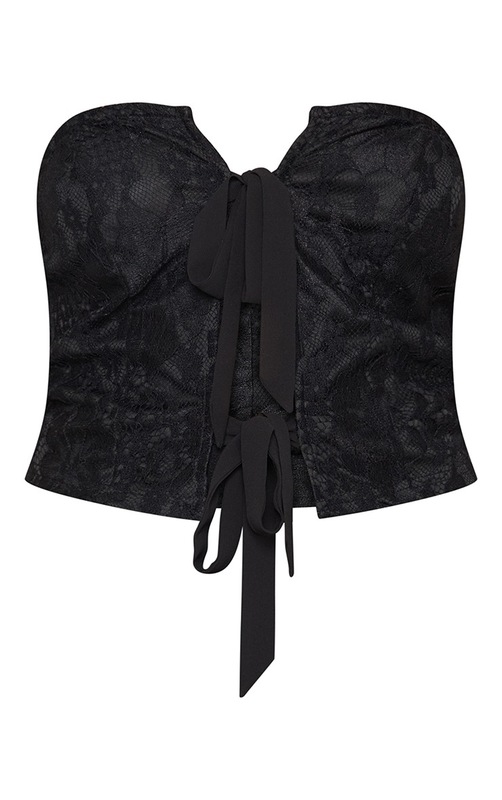 Featuring a black material with a tie fastening and a corset fit. Team this with flared pants and strappy heels for a look we are obsessing over.